One of the most common service calls any Austin plumber takes care of is dealing with slow or clogged drains. So it makes sense to get proactive about dealing with the need for drain cleaning in Austin, in order to avoid having your current issue develop into something worse. Moore & More Plumbing is the local, family owned and operated company that has been taking care of residential and commercial customers since 1986. We don't cut corners to save ourselves time and move on to another job. We focus on the task at hand, your job, which is the most important job we have – until we are done. This approach is how we have earned the title of local leading service provider. It is also how we have earned the impeccable reputation that we have. Let us provide you with the expert drain clearing service that you need to keep your plumbing running smoothly. We look forward to providing you with this expert level of plumbing maintenance. There are countless factors that can lead to your need for drain cleaning in Austin. Hair, grease and other culprits all lead to causing a clog that makes your drains run slow, if at all. Yet too many homeowners make the mistake of thinking they can remedy the problem on their own with store bought chemical cleaning agents. The problem with this approach is that it tends to offer only a short term solution to a long term problem. Plus, even worse, this can cause serious damage to your pipes and plumbing. And let's not ignore the fact that you could end up missing out on the real root of the problem – literally. 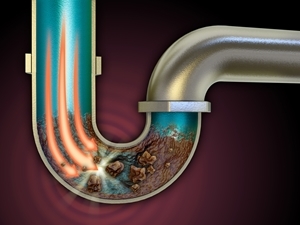 Some slow or clogged drains happen because of tree root growth disrupting the plumbing system underground. So pouring harsh chemicals down your drain will not help anything. Plus it may take you longer to realize the extent of the problem that you actually have. Clogged Drains? Not After Our Drain Cleaning in Austin! Moore & More Plumbing is the only name that you need to know in order to get the quality plumbing services in Austin you need. We are dedicated to making sure that each and every client we work with is aware of the options that they have available and is able to make a decision they will feel good about. The bottom line is that we are in this together and want to make sure that you are beyond satisfied with the outcome. We will also work with you to help you better understand what you can do to help prevent slow drain problems from arising in the future. For your drain cleaning service needs, and any other type of plumbing service work, you can count on us. If you would like an estimate for drain cleaning in Austin or the surrounding areas, please call 512-445-5212 or complete our online request form.